Discussion in 'Magazines' started by RMDV, Feb 7, 2019. Where is the print cover? 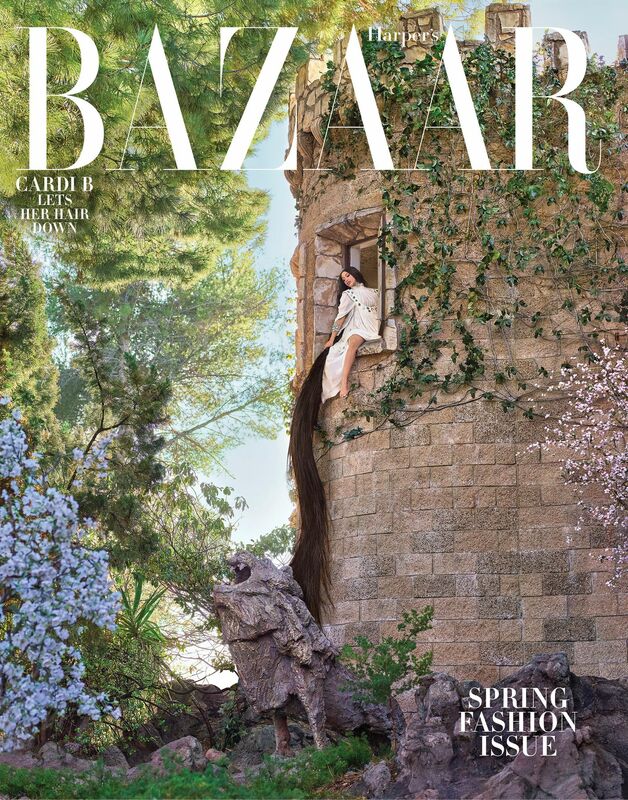 I like the 'fairytale princess' take on things, but this also feels like US Bazaar's interpretation of a UK Bazaar editorial, with the tackiness turned up to 10. 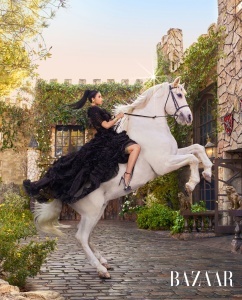 It looks very ANTM-esque from the blatant fairytale-inspired theme to the overly photoshopped execution. I'm interested in seeing her in a different, less OTT light. Not exactly drastic like Nicki Minaj by M.A.S. for T Magazine. For instance, put her in that Balenciaga dress for a portrait shot. That would've looked more interesting, but I guess, this fits Glenda's aesthetic better. Perickles, MetroMelannie, Benn98 and 2 others like this. Scraping the bottom of the barrel! The cheapness of it all. No amount of high fashion can make her look luxe. Of course she looks vulgar in the shot with the sword, that's her thing. And no, we don't care if she's getting back together with Offset. The photography is Like Hallmark meets Leibovitz, but executed by a 1st-year photography student. I think Glenda finally found a photographer to match her magazine's middle-of-the-road approach to fashion in Mariano Vivanco. 333101, RMDV and Bertrando3 like this. Well, I guess it started... Cardi will be taking over the publication sector very soon. The cover is a disaster. It really is. I think what’s really throwing off the cover is that terrible wig. That looks like a WIG! All this money at HB and the hairstylist couldn’t get a good human hair lace front that doesn’t scream “hi, I’m synthetic”?!? Other than that, it’s typical HB. Nothing new or fresh. 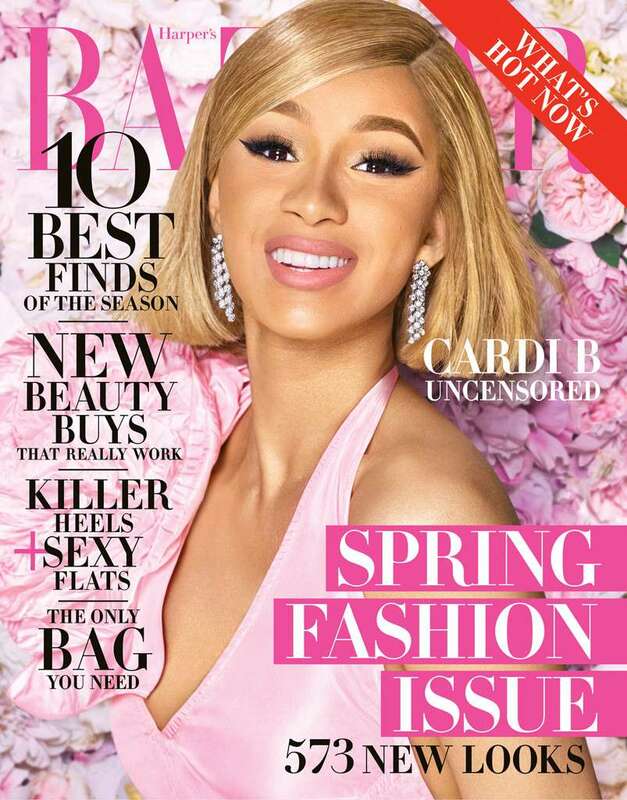 Just happy Cardi B got her first big fashion cover. Yikes they did her dirty with this, big time. So Leibovitz wannabe, which is something no one should be doing right now. I love Cardi B honestly. She's fun and tacky, and I'm really liking her style lately in her videos and performances. It reminds of Lil Kim back in the day. The cover is atrocious but I don't mind the editorial a single bit. I like my celebrities tacky. aracic and tigerrouge like this. I really like both covers. Just when Anna was to take the spot for the worst March cover star, Glenda had to take it from her. Not on Glenda’s watch! Cardi is very pretty. But I've yet to see a good high fashion shoot of hers. She would look great in some elegant glam styling. This, on the other hand, is a circus. Please! They're not asociated with Anna Wintour. Glenda has been mediocre and tacky for God knows how long, yet continually gets the pass. Remember all those years when Jezebel used to run US Vogue's edits through their Macros of mockery, the endless comparisons between Anna and Carine, Cathy Horyn and her heavily worded letters? It doesn't pay to drag Glenda and her ilk. MON and TZ001 like this. It’s not the best work but I don’t understand disliking Cardi. She’s had some great fashion moments and is a huge star. She’s not undeserving. Also, she got into a fight with Nicki at the HB Icons party, was thrown out and still snagged a cover? samoanceleb, dfl-001 and Valentine27 like this.